You are here: Home / Talk Of The Town / What Is The Bulldog Shake? What Is The Bulldog Shake? 24 Gold Hill Middle School students and 27 community business leaders serving as judges took part in the Bulldog Shake competition. Talk of the Town went to the unique event to find out more about the “Shake” program. Watch our video to see more. 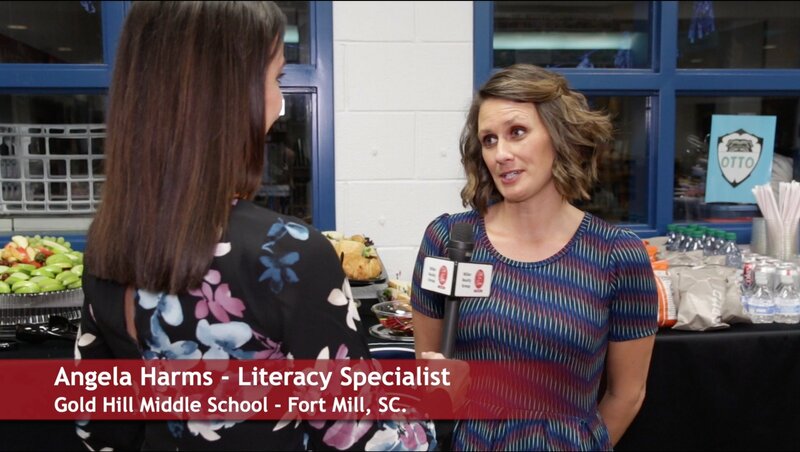 In this video, Gold Hill Middle School Literacy Specialist Angela Harms explains what the Gold Hill Shake is? 24 middle school students where selected after a hand shake competition last November to compete in the finals held January 23, 2019. 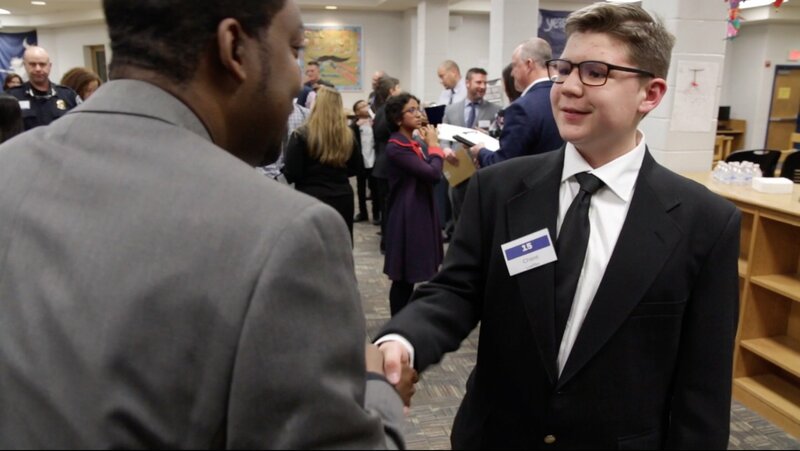 To prepare for the competition, students where taught skills on how to give a proper handshake, how to ?work a room,? how to give a successful interview, and how to remain composed under pressure. The final competition consisted of 3 rounds. Round one was a hand shake and introduction contest which resulted in 12 finalists. 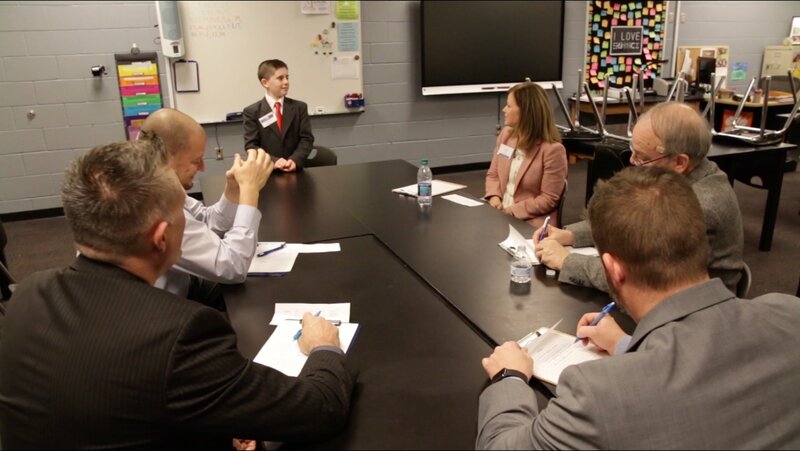 Round 2 consisted of a board room type setting where contestants had to stand in front of judges and explain why they need a raise. 3 finalist where then chosen for round 3 which was a court room setting and the 3 finalists had to give closing arguments defending the big bad wolf. The Gold Hill Shake program was created using the same concept as the Ron Clark’s Academy Amazing Shake. Ms. Harm’s future goal for the Gold Hill program is to compete with the other Fort Mill Middle Schools and eventually take the finalists to the Amazing Shake Nationals.